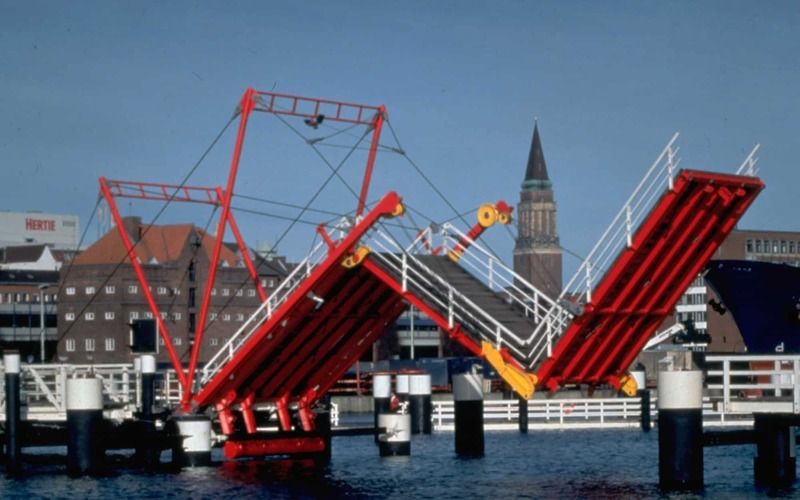 Movable bridges are the bridges which can change their position and sometimes even the shapes so as to allow the passage of vessels and boats in the waterway. This type of bridge has lower cost of building as there are no high piers and long approaches. Utilization of this bridge stops the road traffic so that it’s open for river traffic. 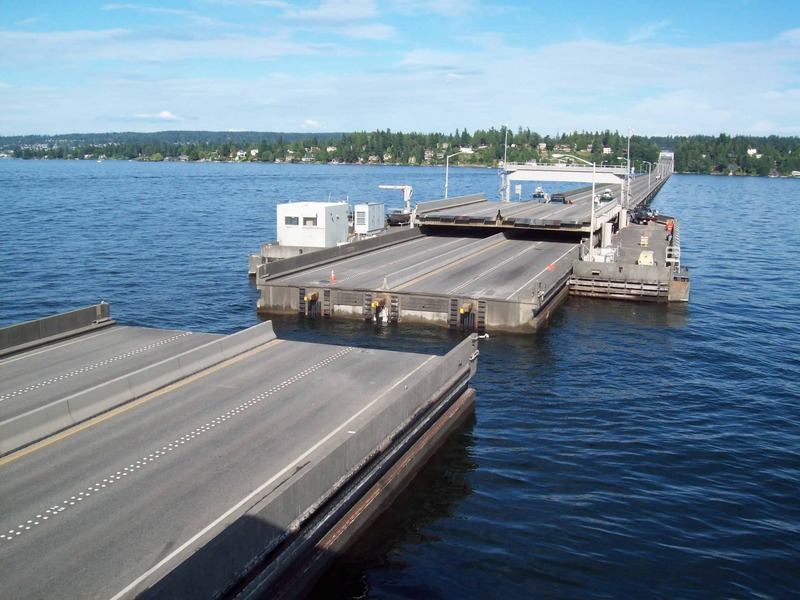 These movable bridges are built even today but there are many movable bridges that are still in use in United States that are built in early 20th century. Some of them have been repaired with lighter materials and their gears are replaced with hydraulics. These are various types of movable bridge systems used around the globe like drawbridge, folding bridge, curling bridge etc. Out of these the most significant bridges are discussed below. 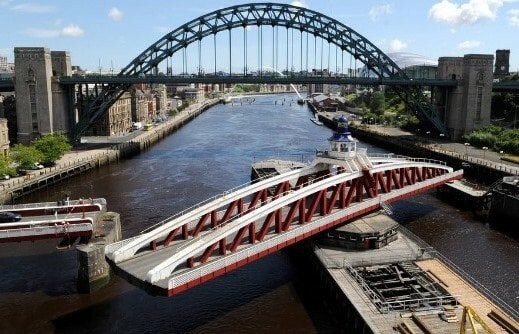 Also some of the special movable bridges are also shown. 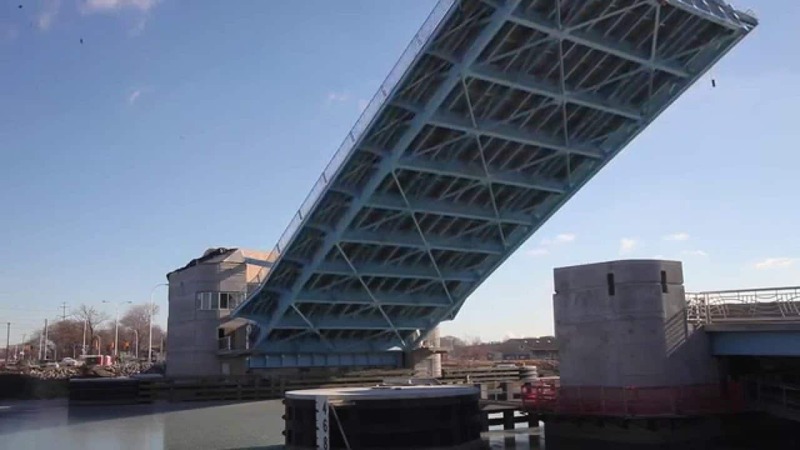 Bascule Bridge is fixed and supported on an axis which is perpendicular to the longitudinal axis of bridge (attached like a hinge) .This Bridge is also called drawbridge. The horizontal axis on which the bridge is hinged is located at the center of gravity so that a balance is created between the weights of the bridge on either sides. 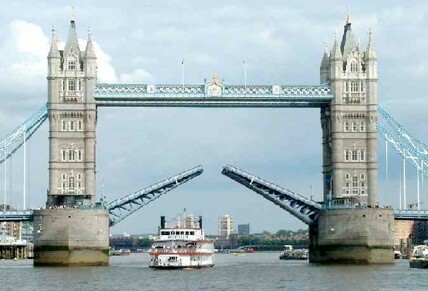 There are two major types of bascule bridges namely: single leaf bascule and double leaf Bascule Bridge. There are also other types like triple and quadruple bascule bridges but they are rarely used depending on the situation. ‘Leaf” is the term which is the part of the bridge which pivots with respect to the horizontal axis and opens the water traffic. This type is commonly constructed and used. It consists of a span of a common type of truss which is supported by the towers at the end of span. Generally the weight of this span is counterbalanced. The waterway is opened by making the span move in the vertical direction. If the machinery which is responsible for the up and down movement of the span is fixed on the span itself, then it’s called span drive vertical lift bridge. But if that machinery is fixed on the towers, then is called tower drive vertical lift bridge. These bridges are substantially stable ones and hence can be used for locations where long spans are required. This type of bridge is fixed on the horizontal plane that turns around vertical axis so as to give way for the water traffic. A pivotal pier is a normal pier on which a bearing is installed and the horizontal plane rests on this pivotal pier. When the water traffic is closed, the ends of span of this bridge rests on the abutments. When the water traffic has to be opened, the ends span should be free and are only supported by the pivotal pier. Hence machineries are used to lift the end of swing span. 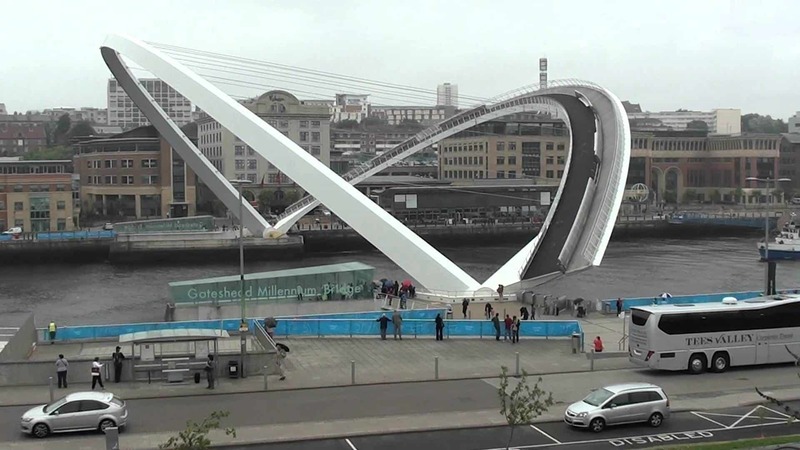 The swing bridge moves horizontally around vertical axis unlike other bridges which move vertically. To be able to carry the traffic and prevent overstressing, the swing bridge should be supported both horizontally and vertically. 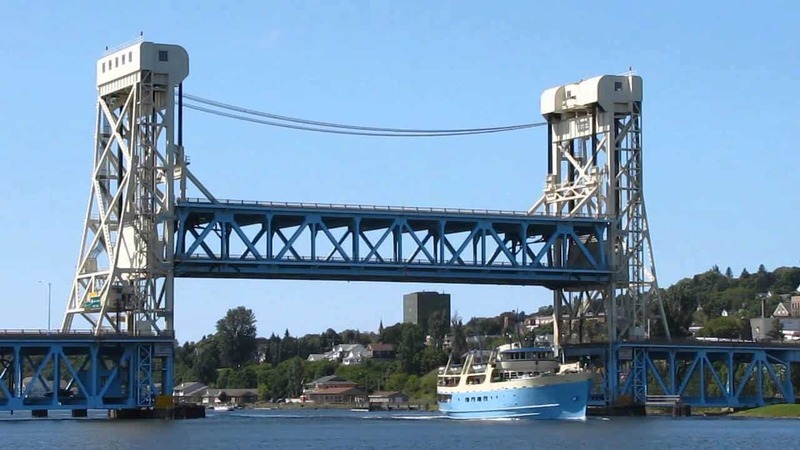 The span of Swing Bridge can be either be truss or plate girder. But the use of plate girder is more economical.